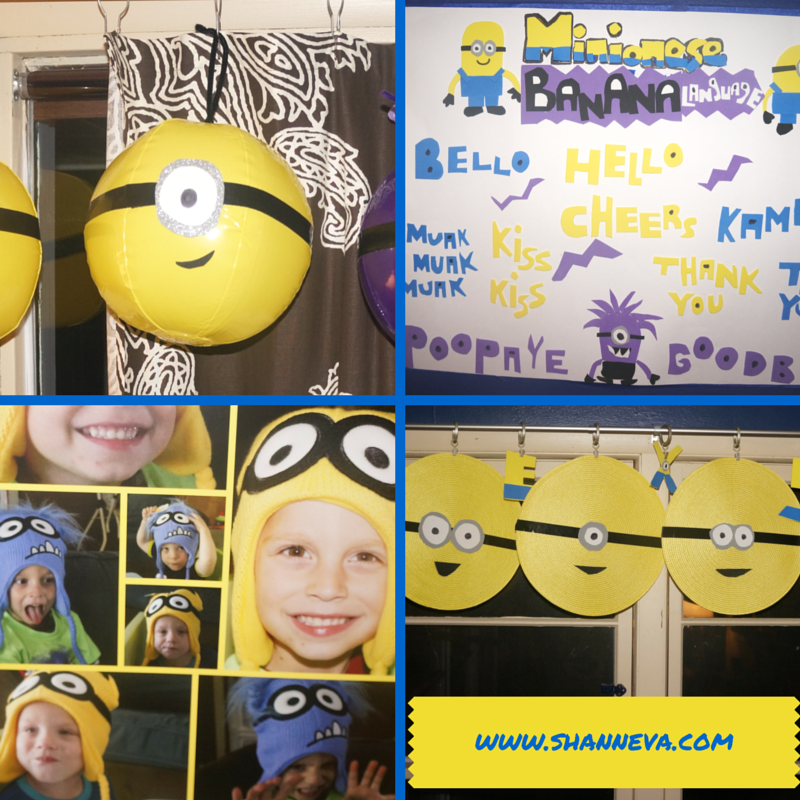 If you’re looking to throw a Minion party for your little one, I’ve got plenty of inexpensive, easy ideas. 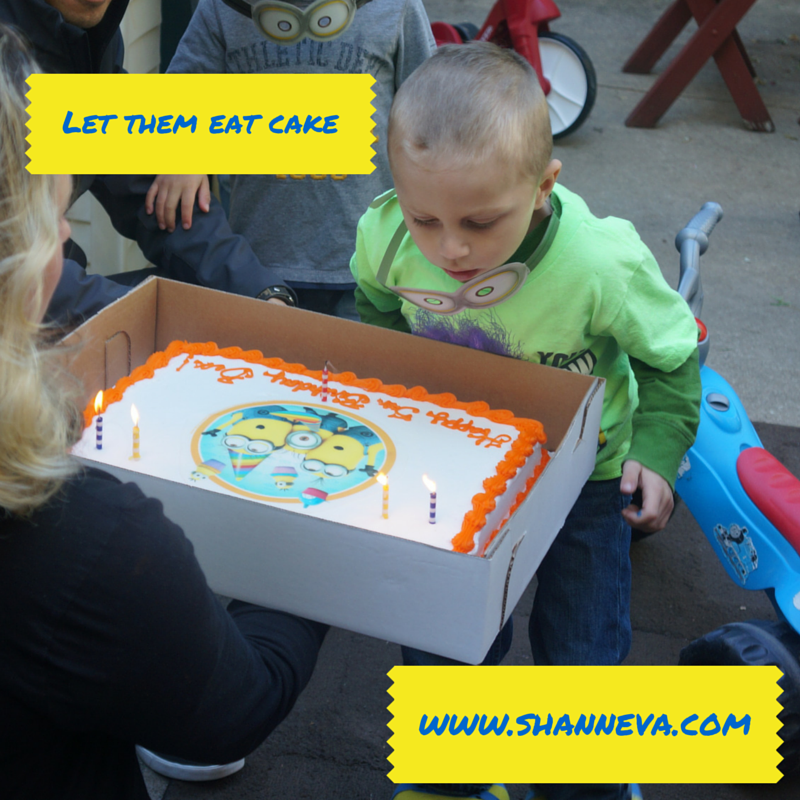 Last Fall, we celebrated Mr. B’s 5th birthday with a “Minion” themed birthday party. Since there have now been three movies with minions, The Minion Movie, Despicable Me, and Despicable Me 2, there are plenty of minions to be found everywhere. I have seen all three movies about a billion times thanks to the birthday boy, and now the twins. There actually pretty cute movies, and I thought it would make for a fun party. Plus, I LOVE a good theme birthday party, as you know. What I do NOT love, however, is spending a ton of money for a party. I want my birthday boy, or boys, to have fun, and my guests to have a good time, but I need to make sure I keep to a budget. After all, I work on occasion, but basically we’re a one income family. Luckily, I like the challenge of saving money, and I also love to make things myself. So, how do I do it? Here are a few of my tips. I’ve also included some of my Amazon Affiliate links for you. Just click on the picture of the product, and it will take you right to it. It costs nothing to you, and it will help me run this blog. 1. Always be on the lookout for future parties. I have a couple of boxes in the basement filled with things I’ve found for 70% to 90% off from Target’s Dollar Spot. Since my kids are pretty young, they are pretty flexible on what their birthday theme will be. As they get older, I’m sure they will have more input, but for now, I’m stocking up. Not only did I shop at Target, but I went to Walmart, Sam’s Club, Walgreen’s, The Dollar Tree, Boston Store, Michael’s, and even Pick ‘N Save to find things. I compared prices online, looked in every clearance bin, and sometimes waited for things to go on sale before buying them. I also used Amazon (We have Prime so I have free shipping,) and Walmart’s site-to-store option so I didn’t have to pay for shipping. If you want to get the cheapest items, you need to give yourself enough shopping time to make it happen. I may go a little overboard with this one, but I LOVE to shop. You definitely don’t need to hit every store. I found a lot of cute things to go inside a treat bag for the guests, but couldn’t find any cheap bags that would fit the items. As I was browsing Michael’s summer clearance, I found yellow sand buckets and water bottles. At $0.29/piece, I was going to make them work. I think they turned out pretty good, plus they double as something the kids can actually use again. I filled the buckets with a $1 coloring book, and split up packs of graham crackers, cheese crackers, fruit snacks, stickers, and bouncy balls. I also made all of the birthday banners, signs, etc. I used yellow place mats that were 70% off at Target for one banner, then sticky foam paper combined with the kid’s pictures for some other ones. 4. Make Your Own Decorations, Buy things you can reuse or Use things you already have. Instead of balloons (which scare me around little children,) I bought some purple and yellow beach balls. I took black pipe cleaners and attached them to a curtain rod. I also used black tape and sticky, white foam paper to make the faces. They were really cheap from Amazon, plus I can just take off the faces, and use them at parties in the future. For Birthday signs, instead of store-bought, I made my own. On one sign, I found a Minion word translator, cut out all the words, and then drew a few Minions on it too. If you don’t like to draw, just cut out pictures you find of Minions. They are everywhere…even McDonald’s bags right now. Or check out Etsy for cheap, cute printable images. I also decorated with Picture collages I had made at Walgreens. I had my son wear his Minion hat and pose with a few, and then used all those pictures in a blown-up collage. For a Minion Birthday Banner, I used yellow placemats from Target, black tape, and sticky white foam paper. I then took down our window shade, and clipped them to the curtain rod. We also wanted to hide…I mean decorate our living room carpet. We took foam tiles that we had from the kid’s playroom, and made a pattern of grey and yellow to match the colors of the party. We just flipped the green, red, and blue tiles upside down. Kids don’t really care about eating at parties, with the exception of cake. So, we made the party in the middle of the afternoon, not during a mealtime, then just had snacks and cake. I had some family members offer to bring stuff, which also cut down on the budget. I also just bought plain yellow plates, napkins, and plastic ware. They still matched the party, and were a lot cheaper than the licensed party stuff. I made sure to have games for the kids to keep them entertained. 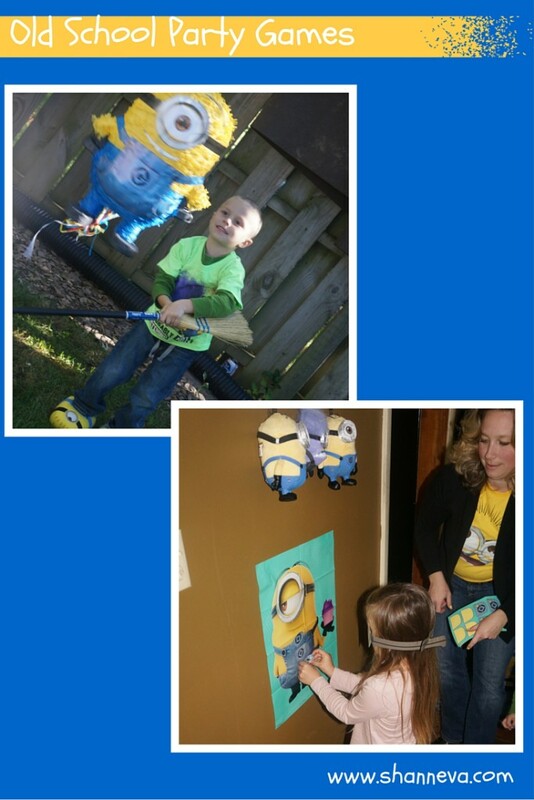 We had a Pinata stuffed with some candy and fruit snacks, and also Pin the Patch on the Minion. Remember the party is for the kids, so games and fun are a must. We enlisted the help of our parents for childcare. I needed to head to the store by myself a few times, and we also needed to clean up for the guests without interruption. I am really blessed to have family near by that’s willing to help, but if you don’t, try asking friends to help out. You can always return the favor. And speaking of help, if you ever need mine in planning, decorating, or shopping for a party…you know where to find me. Wow! You did amazing!! The decorations look awesome and you didn’t break the bank! My son would love this!! Oh my goodness, the Minions are so huge right now! I love what you were able to do with that yellow sand bucket. So creative! You have a very keen eye darlin’! I get tons of stuff on clearance at Target, too! Most of my stuff comes from there actually! There are so many adorable ideas here! I’m with you, I love a good themed party but I don’t want to spend too much money. Those buckets are amazing – cheap and they look great! Making your own decorations can be one of the best money savers but there are so many great tips here I will be utilizing these ideas for our next party! Thanks. Great post! My son is just a little young for Minions, but I admit that movie looks so cute and funny! I love how easy it is to throw a party around them. Your decorations are great! Thank you Tricia! Just wait a couple years, and he will love them. I love all these ideas. The bucket is so cute. I love how the yellow buckets look and I bet kids love those way more then a bag. At least they can take the bucket and play outside or at the beach too. These are great tips. I particularly like #5, which isn’t so much aobut the money as it is about kids enjoying themselves with a sense of balance. Help is something I don’t have, but I love all your minion party ideas. My three year old has a birthday in November and this would be a great theme! Thank you! Wish I could help out! Those decorations are so cute! They came out great! This is so awesome! My son loves Minions (like, I just made Minions on our bananas, kind of like). We may need to throw him a Minion party for his birthday in November. Yes, I saw your Bananas…so cute! Nice job! I especially like the buckets and water bottles! Very creative. It is total minion mania right now! Thank you! I know…they have taken over! Great Tips! I never thought to stock up in advance until we found a crazy deal last summer. It really saved us boatloads. Oh how creative! I love the water pails and water bottles! you did an incredible job! I love it. So cute! I love how you made everything minion themed! It’s such a great idea to stock up on items that you can use later on… especially when you know your kiddos love a certain character! My younger cousin would love this! 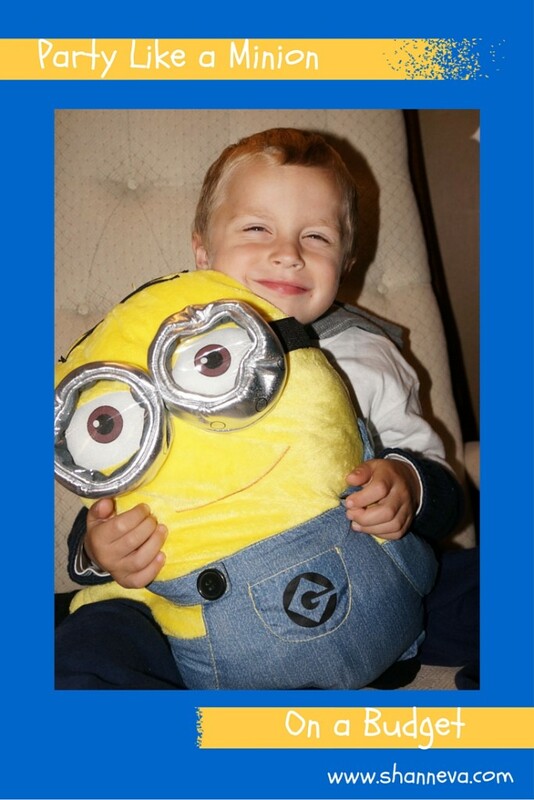 He is such a big minions fan and loved the movie a lot. Very great ideas, I think I might make my daughters first birthday minion themed!! My daughter loves the minions and her birthday is coming up. She’ll love a party like this. Your yellow bucket idea was positively brilliant. I am so, so impressed with it and it’s ADORABLE. What a fantastic idea. I love the buckets! I love Target’s Dollar Spot, but I always tell myself that I don’t need it right now. This is exactly why I do — I can save it a future event. Yes! I have many storage totes ready to party. I am Loving these ideas!! My kiddos are obsessed. Thanks for the inspiration!!! This is so cute! I’m impressed! And totally addicted to the Target Dollar section as well… I swear everytime I go I’m buying something new for my desk or home. I love these tips! The dollar spot and clearance at Target is my faaaaaaaavorite. I’m a back aisle shopper for sure! Ha ha! Yes! Love those endcaps. You throw an awesome birthday party! I love all the minnion decorations. You did such a great job! Minions would be such a fun birthday party theme. Looks like you did a great job. I love the buckets and water bottles! I’m looking forward to a month of great #HomeMattersParty fun with you! These are all really great tips. And the Minion party looks so adorable! Thanks for sharing. It’s great to be co-hosting at the #HomeMattersParty with you! Thank you! Great to be co-hosting with you too. This is adorable. 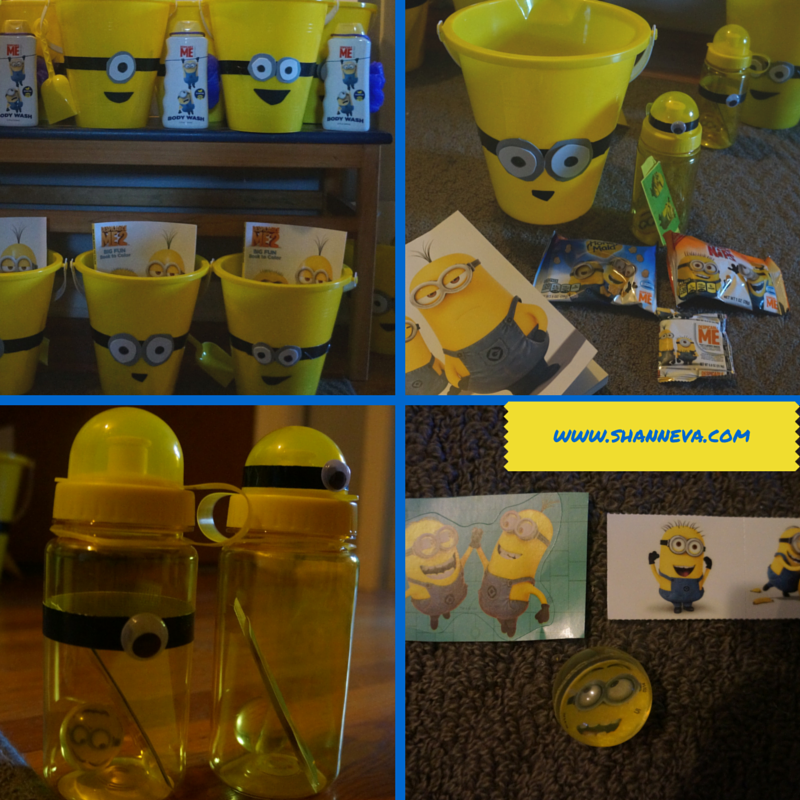 My favorite are the yellow buckets for treat bags…brilliant! I should host a minion party for my adult friends. LOL! My kids are not at home anymore. I am excited to be co-hosting at #HomeMattersParty this month with you! 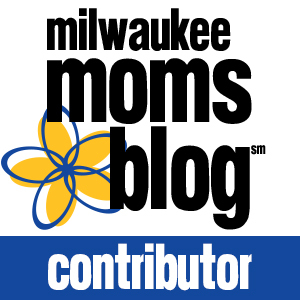 Your blog is fun! Thank you so much! Great to be hosting with you too! Great birthday party tips! I am just starting to plan my daughter’s 6th birthday and budget is definitely on my radar. Glad to be cohosting with you on #HomeMattersParty. I love the bucket idea. What a great idea. Thank you for cohosting #HomeMattersParty. Thank you! I’m having a great time with the #HomeMattersParty Link up. Thanks for including me!